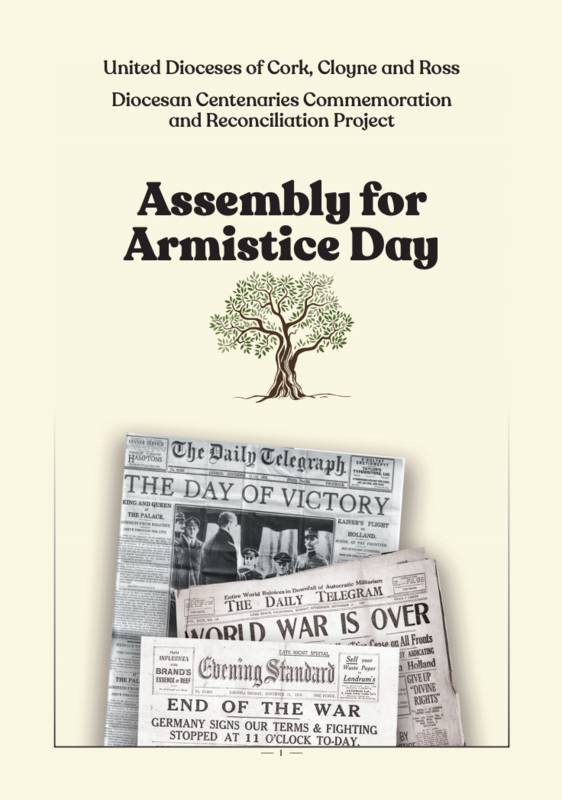 In common with churches, community groups, regions and nations around the world, the United Dioceses of Cork, Cloyne and Ross will be commemorating the end of the First World War in the coming days. the primary function is to remember those who died, who were wounded, or who, either themselves, or with others, lived with those wounds well into the Twentieth Century. 100 years is not a long time; I am 58. We are still living with the outcomes of that war, and in our remembering we do well also to reflect on the challenges facing our world today which, in many places, is still crying out for justice and peace. There are a number of key elements in the Cork, Cloyne and Ross Remembrance Programme. 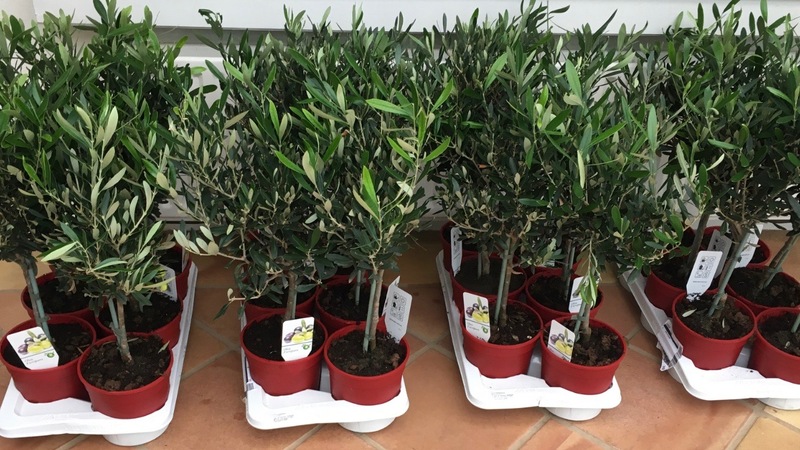 The trees, sourced by Olive Burns, will be delivered on Tuesday 6th November. In addition, students are being encouraged to look for war memorials in their churches and communities, and to find out about the people being commemorated. Alternatively, the suggestion is that children research flags and badges around the world that incorporate the olive branch, or that they research the story behind the flag of the United Nations. Students are asked to find out what the Quakers teach about war and peace, and to look into some of the winners of the Nobel Peace Prize. Prayers will be written for use at the assemblies, and a reading list for children about current areas of conflict in the world is suggested. Bishop Colton will visit a number of the schools to attend those assemblies. Most of the schools are holding their special assemblies on Friday morning, 9th November. 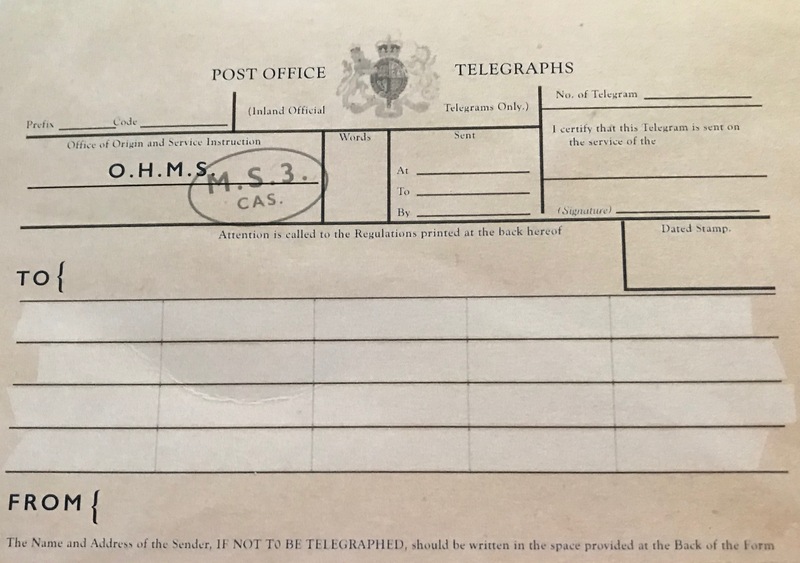 This set the Bishop thinking and so he came up with the idea, for this centenary commemoration, of the telegram – the means by which so many received the devastating news of the loss of their loved one. The Bishop has had 4200 blank facsimile telegrams printed. 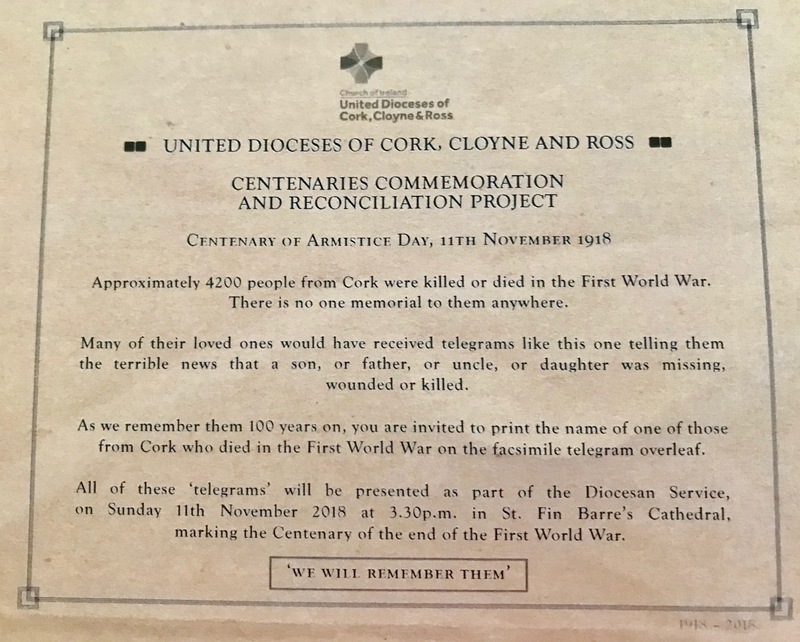 The young people in the three second level schools in the Diocese – Ashton School, Bandon Grammar School, and Midleton College – are each, with the support of school chaplains and history teachers, writing one name on each of the 4,200 telegrams of a Cork person who died in the First World War. Bishop Colton will be visiting the students in some of the schools to see the work in progress. Students from the schools will be at St Fin Barre’s Cathedral, for the Service of Commemoration of the End of the First World War to present these as an act of remembrance, on Sunday afternoon, 11th November at 3.30 p.m. The Service is open to everyone and will be attended by people from throughout the City and County, the Deputy Lord Mayor of Cork, public representatives, members of the defence forces, veteran organisations, community groups and the consular corps in Cork. 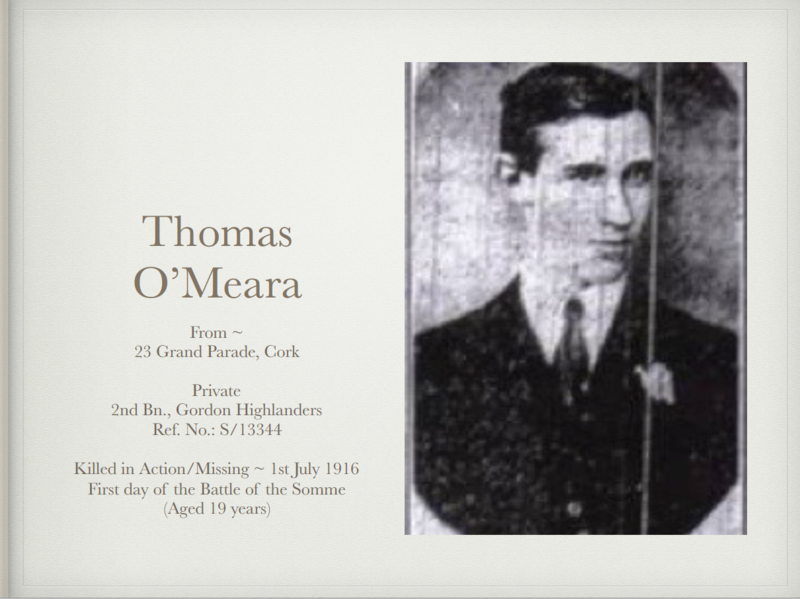 One of the images from the visual memorial – Putting Faces on the Names – which has been running in St Fin Barre’s Cathedral, Cork since 2014. This weekend will mark the last opportunity to visit and see this visual memorial before it is closed and archived. It will be closed by the Bishop at the Service of Commemoration on Sunday afternoon at 3.30 p.m. in St Fin Barre’s Cathedral. 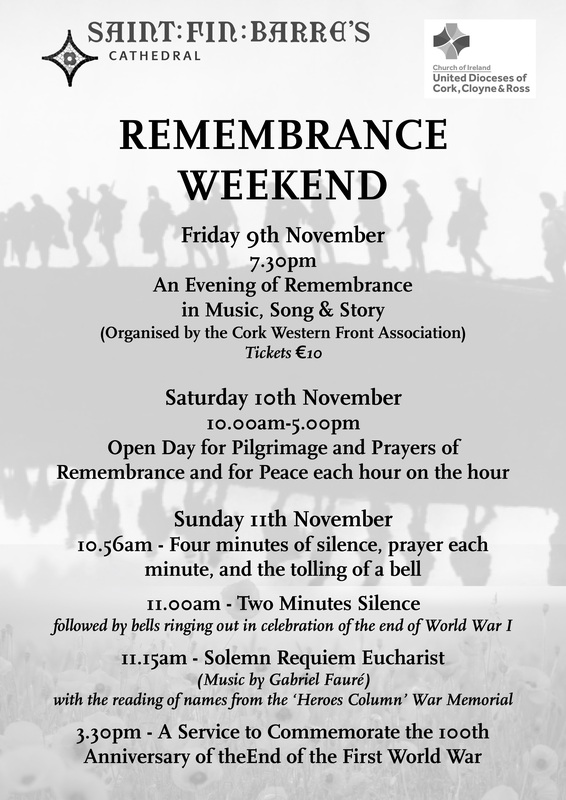 Saint Fin Barre’s Cathedral, Cork will be open as a place of pilgrimage and prayer beginning with Morning Prayer at 10 a.m. on Saturday, 10th November and ending at 5 p.m. Prayers of remembrance and for peace will be said on the hour each hour. The Bishop himself, together with the Dean of Cork, will be present throughout the day to greet pilgrims and visitors. The visual memorial will be available for all to see. On Sunday, 11th November there will be special Services throughout Cork, Cloyne and Ross. In Saint Fin Barre’s Cathedral, Cork on each of the four minutes (one for each year of the First World War) before 11 a.m. a bell will ring once and silence will be kept. At 11 a.m. the traditional two minutes silence will be kept following which, at 11.02 a.m. the bells of the Cathedral will ring out. The Sunday morning Eucharist will be a Requiem with the music Requiem by Gabriel Fauré. Instead of a sermon the names of those who commemorated in the Cathedral memorials will be read out – nearly 400 of them. Bishop Colton has been invited by the Royal British Legion to give an oration at the War Memorial at the Grand Parade at the annual Act of Remembrance there at lunchtime. A Service of Commemoration to mark the end of the First World War will take place on Sunday at 3.30 p.m. in Saint Fin Barre’s Cathedral. 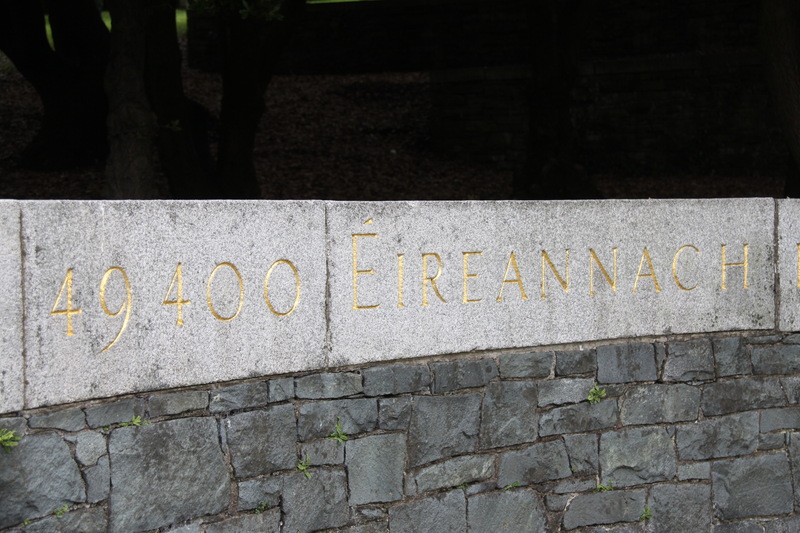 This entry was posted in Announcements, Ashton School, Bandon Grammar School, Cathedral, Centenaries in Ireland, Centenary, Church in Society, Community Involvement, Contemporary Issues, Cork, Decade of Centenaries, Diocese, Education, Remembrance, Remembrance Sunday, Special Events. Bookmark the permalink.